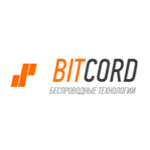 BitCord is a russian manufacturer of telecommunication hardware – vehicle controllers, Ethernet devices, Wi-Fi modems, etc. The company was founded in 2008. Headquartered in Rostov-na-Donu, Russia. The chart below shows the changes within the last 30 days in the number units of BitCord devices type are connected to Wialon Data Center.